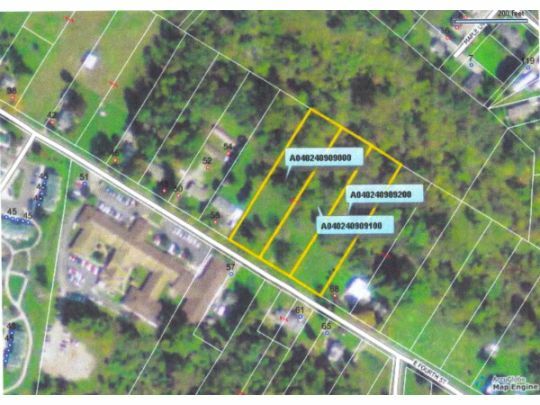 Three contiguous lots, each approximately 97 feet by 435 feet m/l with road frontage and access to public sewer and water (ATO). Vast development opportunities due to flat topography and significant road frontage. Possible for multiple single family projects or even potentially a multi-family development location. Owner is interested in a timely sale and is willing to consider all reasonable bona fide offers.